It is recommended to use the least persistent and least toxic products to get this job done. To do so, simply look at the toxicity of the products you use and choose the one with the least percentage of toxic. Always read the instructions before using the pesticides because it can really save you time and decrease errors from happening. If you can, also consider to only spray once breeding season has past. Also don’t spray on dens, burrows, or nests. If possible, also stay away from the field edges, ditches, woodlots, wetlands, fencelines, rockpiles, and hedges, as it can harm the habitats living among those areas. Furthermore, it’s vital that you do not puddle spray during application or even during you clean the equipment. Birds and wildlife tend to hydrate from near puddles and bathe in them, which can really harm their colony. One of the main formulations you should avoid is granular formulations of the extreme toxic insecticides. The soil incorporation of such products are rarely adequate while birds could eat them and get poisoned. Before application of the pesticide, thoroughly inspect the field carefully and avoid repeatedly spraying the product on a single area. In addition to that, also consider using the lowest amount of product that’s recommended for the application and lastly do not apply any of the pesticide in places of water. If you accidentally draw some inside of ponds, lakes, or streams, make sure that you immediately use and anti siphon device, as it will prevent the back flow from happening. If you feel that you are incapable to get the job done without harming any wildlife, then do consult a professional to help you with the process. The last thing you want is to see innocent animals be left to suffer because of a single mistake you didn’t intentionally make. Wildlife contributes greatly in balancing the environment. Regrettably, some human activities have always threatened the livelihood of flora and fauna. For instance, effective control of insects, weeds and harmful animals must involve the use of pesticides. However, proper care ought to be taken with these farm chemicals in order to reduce pesticide danger to wildlife. Below are a few tips that households need to adopt in order to avert exposing wildlife to harmful chemicals. Industries have always provided vital information on the best ways of handling chemicals. It is only that some people never care to read the safety rules displayed on pesticide product labels. This always results into mishandling of chemicals which may lead to contamination of the environment. There is need for everyone to take up the responsibility of being careful with substances that might harm the surroundings. Following directions displayed on product labels shows an immense sense of responsibility. Most people only visit their chemical stores when the need for a particular substance arises. This should never be the case if the environment is to remain unspoiled. Remember that chemical containers are prone to leaks due to corrosion. If leaks are identified in good time, they can be stopped from contaminating the environment. This helps in protecting birds, animals, insects, and plants against toxic substances. Chemicals that spill into waterways can cause mysterious health conditions even to human beings. Moreover, running water can easily transport harmful chemicals from one point to the other. To avert causing harm to animals, mostly aquatic creatures, contaminated water should never enter waterways like sewers and drains. Washing of chemical containers and equipment therefore, should never be done in regions that border water channels. Insecticides contain toxic substances that need not to be exposed to the environment in large quantities. It is recommended that pesticides be applied only to specific areas that need treatment. This is another vital tip that households need to embrace in order to reduce pesticide danger to wildlife. This is a great responsibility that everyone needs to adopt in order to protect and sustain a healthier ecosystem. How to Protect Urban Wildlife from Pesticides? Same pesticides that are helpful in controlling pests, weeds and insects cause harm to animals, birds and fishes. Users of these chemicals should know how to protect urban wildlife from pesticides. Pesticides are used extensively not only in agricultural field but also in residential setting. The harmful effects of pesticides can be minimized only if not only farmers but household pesticide users also do their own bits. It is important to use only branded pesticides. Such products are manufactured according to established government standards related to toxic contents. Pesticide product container should be disposed off as instructed on the product label. It is important to avoid dumping unused pesticides into drain and gutter. Any item treated with these chemicals should be disposed properly. Container used to store pesticide should be checked regularly for any leak. Containers and other items used to store, move or process pesticides should not be cleaned at any place. These items should be cleaned in such a way that the wastewater does not enter the drain and sewer. Even when the water from a water body is not used for human consumption, its water should be kept free from pesticides. This is possible only when pesticide treated items are not dumped into such water bodies. 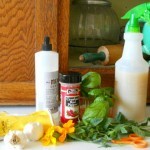 It is a good idea to use organic pesticides that are made from natural and plant materials. In many cases, weeds can be removed by machines, or even by hand if only a small area like home garden is affected. There is no need to spray pesticides indiscriminately. These chemicals should be sprayed only on affected parts or areas that need treatment. 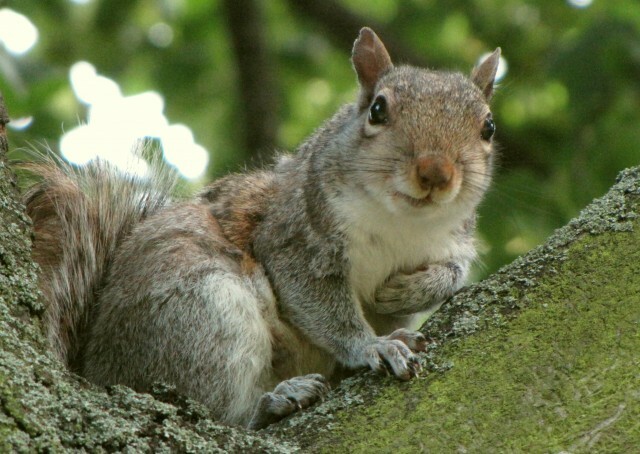 Some large pests like squirrels can be controlled with small pest controlling devices like traps, there is a tutorial on how to remove squirrels from attic. These devices use simple food baits to lure and trap the pests. The same technique can be used to capture other large pests. An effective landscaping design can help avoid use of pesticides to a great extent. Proper fencing around the garden and home keeps away large pests. Weeds need water, sunlight and soil to grow. If access to these things can be restricted then weeds have no chance of growing in such an area. Weeds will not grow on land that is completely dry. Leakage of water into the ground should be stopped. Sunlight should not be allowed to reach the ground at places where weeds have a chance of growing. These techniques will restrict growth of weeds in such an area. These are some effective ways to protect urban wildlife from pesticides. Everyone should help avoid pesticides affecting land, water and air. The company declares that an infestation can be made worse through wrong or inexperienced pesticide use. Bed bugs are understood to disperse into flats and adjoining rooms to prevent pesticide sprays. Some bed bug populations have developed resistance to nearly all pesticides approved to treat them, an inherent danger of using pesticides. Your issue cans just worsen and lead to total resistance. Sickness caused by using bed bug pesticides has been documented by the CDC when label directions were followed. Both people and applicators who enter rooms are in danger. Symptoms include trouble breathing, headache, dizziness, nausea, and vomiting. Many bed bug pesticides don’t kill eggs. Re- other or program means of long term control will probably be essential. Prevent using insecticide foggers or “bug bombs.” Exposure is unavoidable with these items, either through touching a surface contaminated by fogger deposit or breathing the fog. Avoid spray treatments that are day-to-day. These strategies are not effective, lead to bed bug pesticide resistance, and put folks. Pay particular attention to whether the product is approved for indoor use, and ensure that it’s intended for bed bugs. Use powdered pesticides in places which are not accessible to pets and kids. Tell everyone living and working in the region of the treatment strategy and the security precautions they should take to prevent sickness. Always read and follow the label directions on the pesticide product. The label is the law and you could be liable for any damage caused by not following directions. Use just U.S. EPA-approved products (see Regulatory Update below for more details). There are more than 300 pesticide products approved to be used against bed bugs; most include compounds called pyrethroids. Many bed bug populations have developed resistance to their derived cousins, pyrethrins and pyrethroids. Some bed bug pesticides are limited for use solely by licensed pest control professionals. Generally, professionals have expertise and the resources to use pesticides more efficiently than residents can perform on their own. Pesticides are harmful. They have been chemical creations built to kill or severely undermine living things. Yes, pests are smallish creatures when compared with persons so lots of people consider that coverage to pesticides created to kill miniature little bugs can not probably damage them. Well, that’s plain incorrect. In case you got a hammer and slammed your thumb, it’s going to damage for a bit. However, you’d nevertheless have the capacity to see through everyday jobs like driving, fastening buttons, ingesting, etc. However, imagine if you got that same hammer and slammed your thumb in exactly the same place each and every day? After only a few days, the flesh of your thumb will be quite so inflamed and damaged that you just couldn’t perhaps presume to utilize it. Pesticides – one coverage is not, therefore, terrible, but continued exposure does unbelievable, accumulative damage. Another accumulative example is sunshine exposure. An instance of sunburn here and there looks innocent enough. But many sunburns over time trigger deep tissue injury leading to wrinkles, discolouration as well as worse – epidermis cancer. Skin cancer is brought on by recurrent sunlight damage and kills hundreds of individuals annually. Begin to see the topic here? A couple of examples of the poor thing could be fine, but the accretion of many exposures is horrific! In our culture, we’re well trained to keep away from most poisonous materials. Think about the power used to keep hazardous materials away – cupboard locks, an evidence medication lids and all of the ‘warnings’ we see on-package labels. Could you intentionally feed your kid toxins? Certainly not! But pesticide toxins are everywhere. Pesticides are materials that people understand are poisonous but rather than avoiding them; we adopt them constantly. We use them to the outer skin for pest repellents. We indiscriminately accept pest manage in our food supply. (Truth: over 300 lbs of pesticides per man per year is employed in US crop creation for our food supply.) Plus we spend good cash to get them applied routinely in our residences, schools and companies. 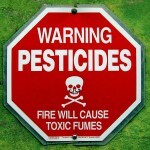 These pesticides are odorless, colorless, toxic fumes that individuals always breathe, consume and consume regularly! What’s The solution? Use secure and natural compounds that command pests but don’t hurt people. Nature supplies ingredients and green-minded firms offer safe formulae that work. Prevent the cumulative results of pesticide exposure on your own as well as your kids. 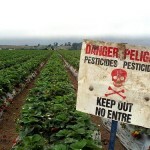 Say no, to pesticide toxins! How do people across Ontario feel about pesticide bylaws? No matter the community, people are tired of being poisoned in their own front yards! Surveys across Ontario show that the majority of people want stronger restrictions on urban pesticide use but most municipalities have not responded to public opinion. While people argue against the use of pesticides, a representative from The Exterminators, local Toronto exterminators, suggest that when people do have a persistent pest problem they are less hesitant to accept the use of pesticides as the solution. Pesticides use helps regulate pest populations effectively. Industry regulations help keep such use of pesticides under control. Perth April 01/03 6 003 Pesticide By-law Adopted Excellent bylaw! Peterborough March 1/06 74 600 Excellent By-law!! Adopted Excellent By-law!! We’re all busy running our little Johnnys and Sallys off to dance, soccer, hockey, you name it. In between grueling work schedules and activities, we don’t always have the time we need to look after our lawns and gardens. But instead of reaching for a quick fix, (Yellow Pages under Lawn Emergency! Help! ), combine your stretch and workout time with quality family time and catching some Vitamin D, by using easy and, ultimately, beneficial lawn and garden care. A no-brainer. Let the pesticide bylaws come – it won’t matter. You are on the cutting edge! So relax, pour yourself a cool drink and take a break until June. That’s right – no fertilizing, no herbicides, insecticides, kill-icides, no weed ‘n feed, no nothin’! If you fertilize now, you’re wasting your money and just feed‘n the weeds. But if you want to fool your neighbours and look as busy as they are this time of year – causing all that racket and pollution with their gas mowers and leaf blowers – head outside and have a stroll around your yard. (Still have that cool drink in your hand? Take a sip!) 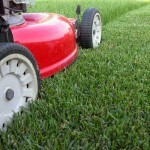 Look for any places your grass isn’t growing well – under trees, shaded areas or hot, dry areas. This is where the first acronym comes in: Replace Your Lawn With Native Plants, Shrubs and Trees. That’s the remedy for every lawn emergency and all you have to do to your lawn – ever! If you’ve been using pesticides, you may want to wait until fall and then aerate before overseeding and topdressing. If you really feel you need to look useful, you may want to remove any plants you don’t want in your lawn. Personally, I only remove thistles before I accidentally find them with my bare feet. But you could pay your kids to use any one of the many, really cool handtools, suitable to any size or shape, sitting or standing, available at your local hardware store or nursery. Or declare your yard to be a wildlife sanctuary and leave your dandelions to feed your local, wild rabbit population – they’ll make short work of them – flowers, stems, leaves and all – and leave some free fertilizer behind. You also may want to add white dutch clover to your grass seed mix for the added benefit of fixing nitrogen and eliminating the need for fertilizers. Now sit back and enjoy another cool drink. Have a look at the contents of your glass. Aren’t you glad you didn’t use any pesticides and synthetic fertilizers or other nasty chemicals that could end up in it? 2. What grows on concrete? Although there are far less destructive methods of food production, at least the land is being used for something that can be eaten. The same cannot be said of most suburban yards. Grass still seems to be the groundcover of choice, clipped to within a centimeter of its life, and kept alive on a chemotherapeutic life support system of pesticides, synthetic fertilizers and treated municipal water. But think how wonderful it would be to live in a neighbourhood teeming with life – towering trees cooling the streets on a hot summer day, the full-sensory delight of yards filled with the buzzing of pollinating insects, a cacophony of birdsong, and the intoxicating aroma and colour explosion of thousands of blossoms. It’s time to rethink the “perfect golfgreen” lawn and replace some, or all of it, with different groundcovers. We may live in concrete jungles, but our jungles are still part of a larger ecosystem that needs our help. So even if your gardening space is limited to one pot on your balcony, you can still become an advocate for rooftop gardens, community gardens or green roofs that will help reduce air pollution, filter rain water, slow down storm run-off and cool our cities. If you’re a ground-dweller, you can replace much of your lawn with native plants, trees and shrubs that will provide food for wildlife (insects, birds, etc.) and your family. Native plants have evolved over time to adapt to their environment and require no added inputs such as fertilizer, pesticides or even water once the plant is established, if it’s the right plant in the right place. One of the challenges, besides the ever-unpredictable weather (don’t get me started on climate change! 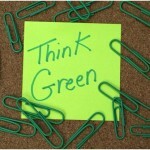 ), is to match the plant to the environment. Is your soil sandy, clay or loam; is the location sunny and dry, wet and shady, dry and shady? What plants grow best in each of these conditions? There are an enormous number of resources, on-line and in your library or bookstore, and from your local nursery, to help you make the right plant choices. Native plants are usually identified as such in nurseries, which is a great help. If you want to do some research beforehand, Lorraine Johnson’s books, in particular, are geared specifically to Canadian gardeners and provide descriptions of the proper growing conditions, and mature size of native plants to meet your gardening needs – and has great photos! Be prepared for some disappointments though. Even if you’ve done everything right, gardening is always trial and error. Some plants will just not do well in your garden. If anyone took a good look into my gardening past, I’d be imprisoned for life for all the “bodies” buried in my backyard. But they’d never find them beneath all the survivors – the lush butterfly bushes, wild roses, sweet woodruff, cup and saucers, columbines, lobelias, dogwoods and serviceberries that are feasting on the remains! But what price are we paying for this photo-op? The impact of our lawn and gardening choices don’t stop at the edge of our properties and we must consciously decide whether to be beneficial, benign or harmful to our world. I admit I wrote “Zen and composting” with my tongue firmly in my cheek, but the more I thought about it, the more I realized that the path to gardening (and environmental) enlightenment leads directly from that pile of decomposing garden and kitchen scraps in your yard. No synthetic chemical from the lab can match compost in its ability to make your plants healthier and less susceptible to disease and pests. Compost has been scientifically proven to reduce damping off and root rot disease, create healthier root systems, conserve moisture, destroy pathogens, and encourage the growth of fungi and other organisms that control harmful parasitic nematodes. And all you have to do is keep piling on the organic material and let the house millipedes, sow bugs, snails and slugs, fungi, bacteria, and actinomycetes, mites and springtails, earthworms, nematodes, red worms and potworms, flies, earwigs, pseudoscorpions, spiders, ants and beetles do their job to create black gold. Ye gotta love those bugs! Although I’m sure all entomophobics and insecticide manufacturers would disagree, the vast majority of bugs and microbes are beneficial. Without ‘em, we’d all be dead. A report out of Cornell University and the Xerces Society http://www.xerces.org/pubs_merch/Econ_Value_of_Insects.htm, actually put a dollar figure to the services insects provide – $57 billion worth of pollinating, pest control, clean up and food source. Think about how much garbage and organic waste we’d be sitting under if we didn’t have microbes and insects to break down autumn leaves, fallen branches, grass clippings and kitchen scraps. Think about how hungry you would be without insects to pollinate our crops and flowers and produce honey. We’re faced with that right now. Cockroaches may survive nuclear fallout, but bee populations are being decimated around the world by human activities. Some scientists are referring to the disappearance of bees as today’s “canaries in the coalmine”. They hypothesize that Colony Collapse Disorder, as it’s called, is due to the loss of wildflowers, climate change and extreme weather, Bt corn, viral mites and pesticides. In the U.S., some areas are reporting a 90% drop in bee populations. If we lose the bees, it’s the end of agriculture and the end of us. There is no need to wait, and indeed there is an urgency, to designate our yards as pesticide-free zones, full of wildflowers, to increase the hospitable habitat for these vitally important critters. But this is just the beginning of your path to enlightenment. The next steps are to walk or bike more, grow your own food organically or buy local and organic, refuse excess packaging, use energy efficient appliances… Check out the Suzuki Foundation for tips on everyday environmentalism at www.davidsuzuki.org and make your commitment to our planet. During my misspent youth, I first heard the joke that you don’t buy beer; you just rent it. That’s pretty well what happens with all the water on the planet too. Like energy, water is neither created nor destroyed; it just keeps changing form. Despite the fact that seventy percent of Earth’s surface is covered with water, it is unbelievable that only .3 percent is usable by humans. The remaining 99.7 percent of the water is either in the oceans and seas (too salty), ice (too cold) or the atmosphere (too hard to catch). Water, water everywhere, and barely a drop on the planet to drink. But if you are one of the 40 million people living in the Great Lakes Watershed, consider yourself lucky. The Great Lakes hold one-fifth of the world’s fresh water supply. Years ago, reports started coming in that the Great Lakes were exhaling pollutants. Exhaling pollutants. Don’t they want them either? We used to think the lakes were so big they had a limitless capacity to absorb our waste products. You know the old maxim – dilution is the solution to pollution. Turns out bio-magnification (toxins accumulating up the food chain) and synergy (chemicals combining in new ways resulting in greater effect) would be more accurate. What are the Great Lakes telling us? One theory is that, depending on which has the greatest concentrations of contaminants, the air or the water, the other will spew. With all the bad air we’ve had for decades around the Great Lakes, the water pollution must be extraordinary! Nowadays, we are getting smarter and know that when we throw away garbage and flush you-know-what down the toilet, it doesn’t just go away. Some of it breaks down; some of it mixes with other stuff and creates some new stuff that’s often worse than the first stuff. It’s like the undead in all those old horror movies. The thing that wouldn’t die or the blob from the black lagoon – you get the picture. Our municipal water treatment plants use filtration, screening, coagulation, sedimentation, flocculation, disinfection with chlorine and/or chloramines and even ultraviolet light and ozone to clean it up. Still unsure of the safety, many people add their own reverse osmosis or filter treatments at the end of the pipe in their homes. Without a doubt, water sanitation has contributed immeasurably to our health and longevity. But as we’re all too well aware, accidents happen. Unexpected and/or invisible pathogens and chemicals find their way into our water. If it’s not PCB’s, dioxins, furans, mercury, endocrine disruptors, cleaning products, prescription drugs, personal care products and human and animal waste, it’s pesticides and synthetic fertilizer run-off from agriculture and lawns. John Struger, an Environment Canada scientist, has shown repeatedly that the pesticides and synthetic fertilizers we use on our lawns are making their way into our water system through our stormwater systems, holding ponds, streams and eventually lakes, some at levels lethal to some aquatic life. The National Centre for Atmospheric Research www.ucar.edu/org/ has some interesting things to say about nitrogen (the N in the NPK on a synthetic fertilizer bag). Human interference in the nitrogen cycle, through the use of fertilizers for example, can change the soil to favour weeds over native plants. Nitrogen run-off into water bodies causes algae overgrowth that depletes oxygen that kills fish and ruins water quality (called eutrophication). Many of the contaminants in our water are out of our personal control, but we DO have control and, therefore, the responsibility to properly dispose of toxic substances such as paints and solvents and to not use or hire companies that use harmful fertilizers and pesticides on our properties. It’s just a lawn. Why take the risk? A pesticide is a substance released into our environment to selectively kill organisms we consider undesirable. Herbicides, insecticides, fungicides and combination products such as “weed ‘n feed” are all pesticides. About seventy percent of pesticides are used in agriculture, with the remaining thirty percent used for forest management, lawns and gardens, golf course maintenance, pet care, industrial site care, as repellents, and for indoor pest management such as in washrooms, closets and building structures. While an argument could be made for the selective use of pesticides to deal with outbreaks, agricultural use or spot application for infestations, this is distinct from the undifferentiated, widespread use we are witnessing today. The benefits of cosmetic pesticide use are not justified because of the risk to public health. In 2004, The College of Family Physicians of Ontario released a comprehensive report on pesticide exposure and health risk, concluding that all commonly used pesticides show a positive association with adverse health effects. Ø a decline in non-Hodgkin’s lymphoma in countries where the herbicide 2,4-D had been banned for over ten years. The authors concluded that 5% of NHL is attributable to pesticide exposure. Manifestations of acute exposure to insecticides may include neurological, gastrointestinal, dermatological and respiratory symptoms, and even heart block and death, due to acetylcholine blockade. Herbicides generally have little acute toxicity, except for paraquat – a severe respiratory toxin. Although chronic effects are more difficult to demonstrate, increased use of pesticides appears to put farmers and their families, gardeners and golf course superintendents at higher health risk. Some sub-groups, such as children (along with fetuses, the elderly and pets), may have a biological vulnerability and be at higher risk. Relative to their weight, children eat more, drink more, breathe more, and have a greater surface area and a more permeable blood brain barrier than adults do. In addition, they may have greater exposure due to diets more concentrated in specific foods and more hand to mouth behaviour, including eating soil. They spend hours in areas of highest concentrations of pesticides – on the ground (floor, grass), often with little clothing. Finally, children (and pets) cannot read warning labels or instructions. Despite this evidence, the pesticide industry continues to claim that pesticides are “safe” when used as directed, because they are studied and approved by governmental agencies. The controversy has precipitated a re-evaluation of the federal Pest Control Products Act. As of this writing, not all the changes have been implemented, but many products used on lawns and gardens have now been removed or had new restrictions applied to them. Public pressure from individuals and groups belonging to organizations such as Pesticide Free Ontario, with strong support from health organizations such as The Canadian Cancer Society, Canadian Association of Physicians for the Environment and the Registered Nurses’ Association of Ontario, has also resulted in almost 130 municipalities across Canada, including Toronto, Montreal and Halifax, and the entire province of Quebec enacting bans. 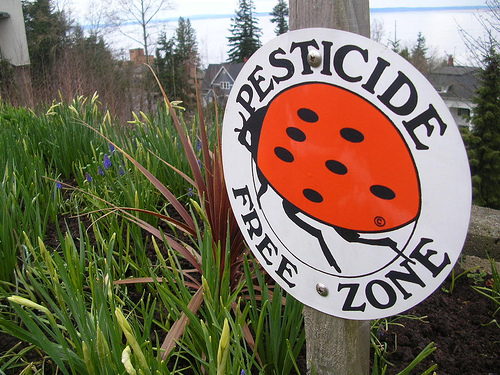 Regardless of whether your community has restricted pesticides, you can make the choice to protect your health and environment by eliminating the use of pesticides around your home and garden. 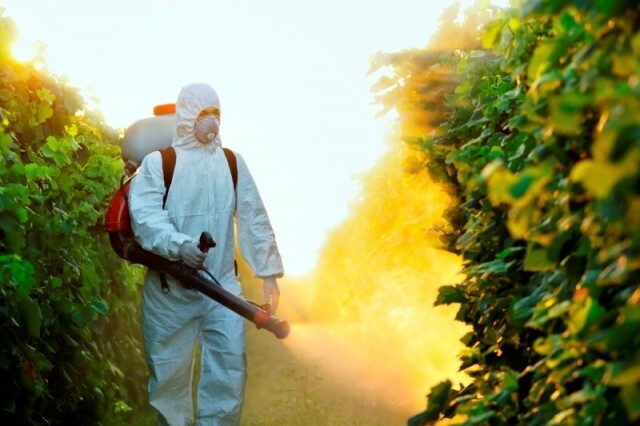 Arya N. Pesticides and human health: Why Public Health officials should support a ban on non-essential residential use (Commentary). Can J Public Health 2005;96(2):89-92. Dr. Arya is a family physician; Adjunct Professor, University of Waterloo; member of the Ontario College of Family Physicians (OCFP) Environmental Health Committee and of the Canadian Association of Physicians for the Environment (CAPE). He was also a peer reviewer for the study of the Ontario College of Family Physicians and is now on Health Canada’s Pest Management Advisory Council.